Celebrating 60 years of Service to the Rapid City area and surrounding communities. Grimm’s Pump and Industrial Supply has a large shop area with experienced and certified technicians for all of your service needs. We are here to help you extend the life of your compressor by now offering Grimms Compressor Oils in various sizes. 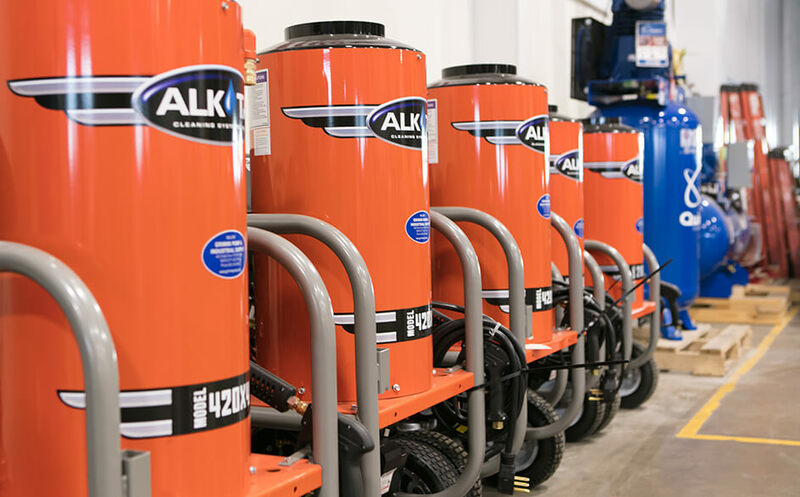 Grimm’s Pump and Industrial Supply offers Alkota the industry leader in hot and cold pressure washers. Thousands of people and industries count on Quincy air compressors for quality and reliability! Find your next compressor at Grimm's Pump and Industrial Supply! We got Pumps for any size job big or small. Grimms has Industrial parts washers designed to meet a wide variety of applications. For over 60 years, Grimm’s Pump & Industrial Supply has provided top-notch customer service and high-quality industrial and petroleum parts to the Black Hills and surrounding region. As the area’s largest industrial supply company, Grimm’s Pump believes in continuing the pursuit of growth and expansion in the industrial and petroleum industry. Grimm’s Pump is committed to providing the best in brand-name air compressors, petroleum equipment and pressure washers. Our knowledgeable staff is always on hand to answer any questions you have, and help you make the ideal choice for your commercial, industrial and residential needs. Take a look at our full line of products all of which can be purchased right at our location on East Omaha Street in Rapid City, SD. Not only can you rely on Grimm’s Pump for reliable brand-name parts, but you can also count on our certified and highly-trained technicians for fast, friendly service. Their over 60 years of experience qualify them to successfully solve many industrial problems, including ones that require specialized training. Grimm’s Pump has become the area’s #1 industrial supply company. In need of professional installation, maintenance or repair? Look no further than Grimm’s Pump and Industrial Supply! Our certified technicians will get the job done right. 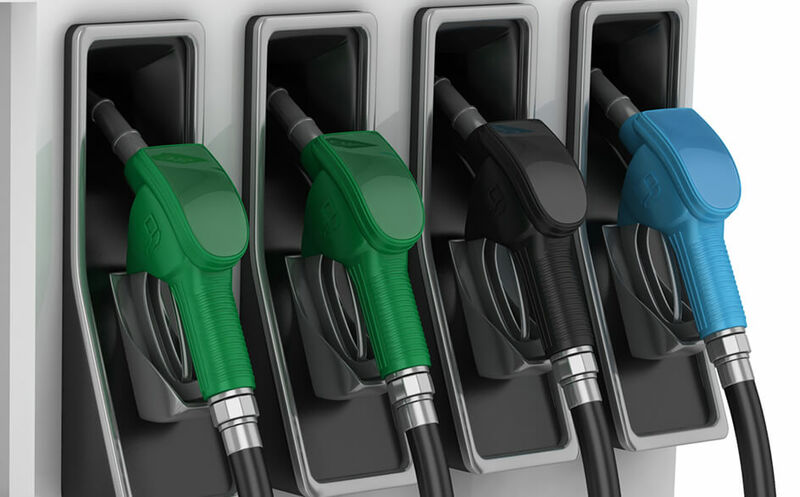 Whether you are looking into opening a new gas station or need to update an existing one, look no further than Grimm’s Pump for all of the petroleum products and equipment you will need. We are the leading petroleum service provider in the region and offer the highest quality products from companies like Gilbarco, Gasboy, VeederRoot, and OPW, as well as certified service technicians to get the job done right. Whether you need to move oil from a 5 gallon bucket or grease a fleet of cars and trucks, Grimm’s has the lubrication equipment your job requires. 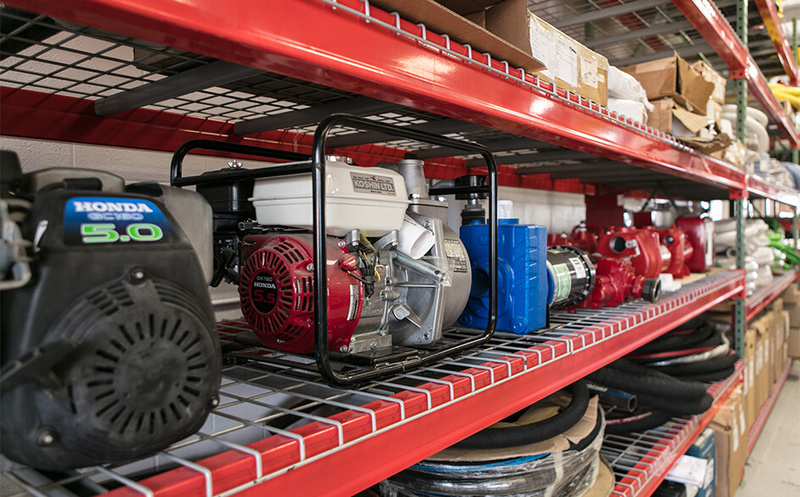 We feature a full selection of pumps, reels, valves, meters, and accessories, and can even help you customize for your application. We offer some of the biggest names in air compressors, and have the experienced professionals to service them. 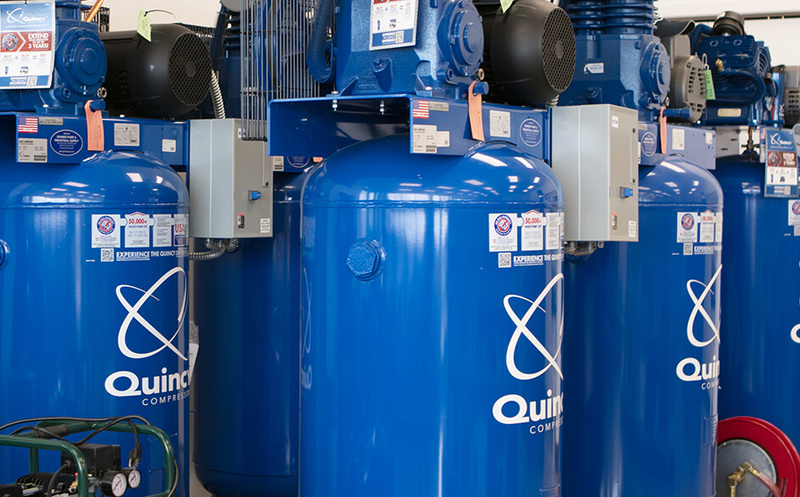 We are the area’s full-line distributor of Quincy air compressors, which have been rated the highest-quality and longest-lasting air compressors on the market today. Although we offer a wide variety of brands, if you find we don’t have the one you would like in stock, we will order it. Need a pressure washer? Look no further than Grimm's Pump for a top of the line pressure washer today. Grimm's pump is the West River distributor and service center of the Alkota pressure washer, a brand that has been designing, building and improving cleaning systems since 1964.This record of success has allowed them to stay at the forefront of cleaning technology while continuing to provide affordable, dependable products.